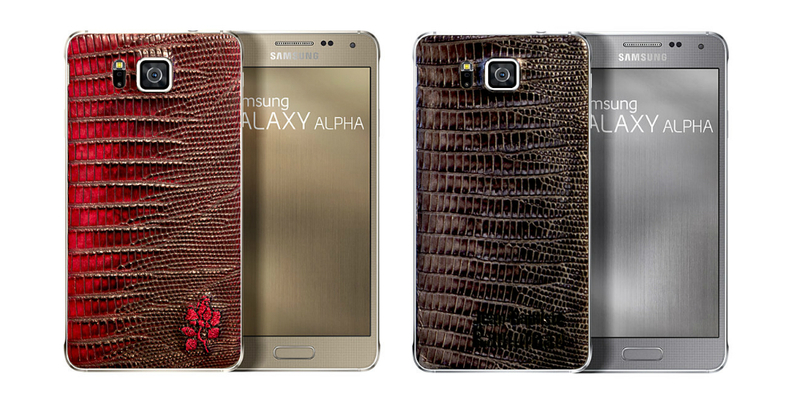 Samsung introduced a reworked Galaxy Alpha this week, sporting limited edition leather backsides, exclusively for the French smartphone market. Marked as leather, the backs give off an alligator-like look, but you can rest assured that actual alligator skin was likely not used. Designed in cooperation with Lance Bordeaux, each unit is marked and ships with a certificate of authenticity. Unsurprisingly, the limited edition units come with a healthy price tag of about $800 US. As awesome as someone might think they look, Samsung has only made these Alphas available in France. Who knows if the US will ever see anything like it. Besides the backside, all of the specs remain the same; 4.7″ HD display, quad-core processor, 2GB of RAM, and 12MP rear-facing camera. Does this look cool to you?